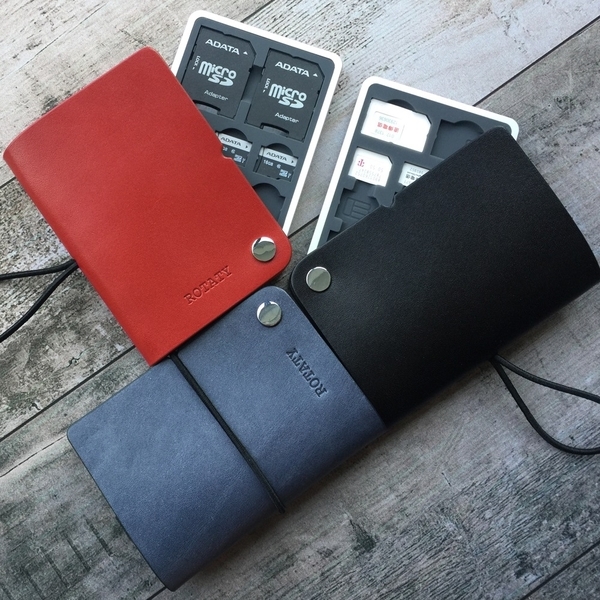 Covered by genuine leather and is strengthened with aluminium alloy to prevent memory and SIM cards from being bent due to inappropriate force. 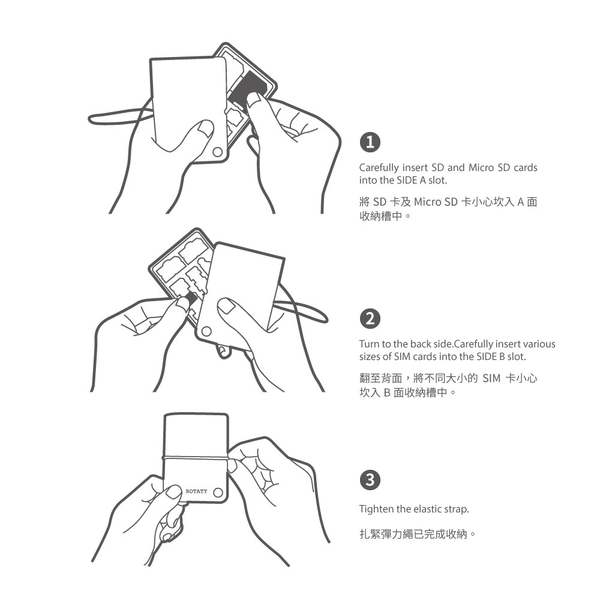 With its unique double-sided design for holding memory and SIM cards, the case is light while having sufficient space for multiple memory and SIM cards. This case can hold 2 SD cards, 6 Micro SD cards, 2 Standard SIM cards, 3 Micro SIM cards, 4 Nano SIM cards and 2 pins. Designed in Cambridge. Assembled in Taiwan. Package Includes: 1 x Rotational Lightning Cable Case in Gift Box. 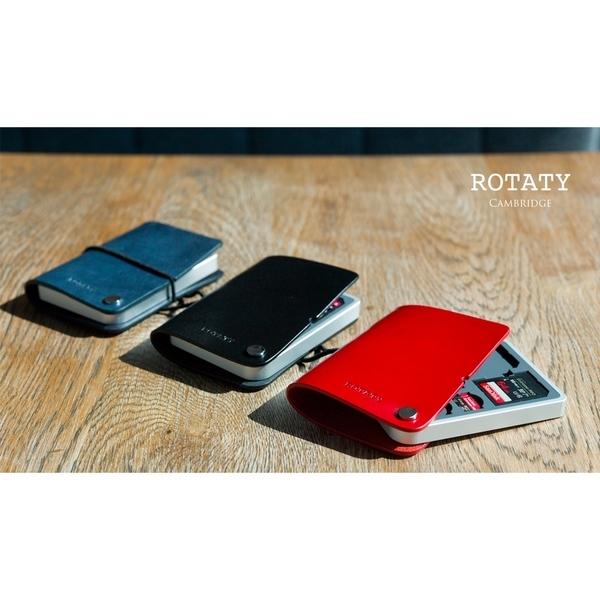 ROTATY was established in autumn 2015 in Cambridge, UK which endeavouring to create high quality, stylish, iconic and even classic products. In Spring 2016, ROTATY launch the Rotational Case series products, its unique patent rotational design has never been seen before, it helps to store earphones or cords more easily and intuitively no matter which directions they turn to. 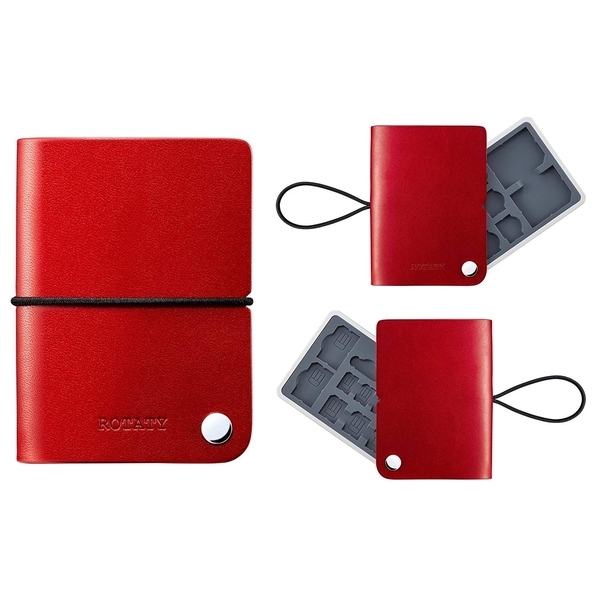 ROTATY's products is not only bring you the practical functions, but also can make your extraordinary taste prominent. It is a simplicity & elegent product which is worth to collect. *Please notice that the package only includes the case, does not include cable or any other items that are shown in the pictures.